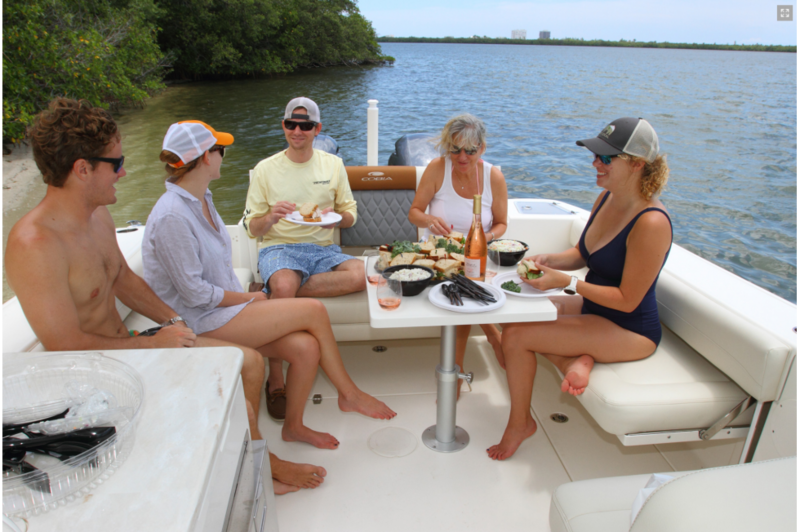 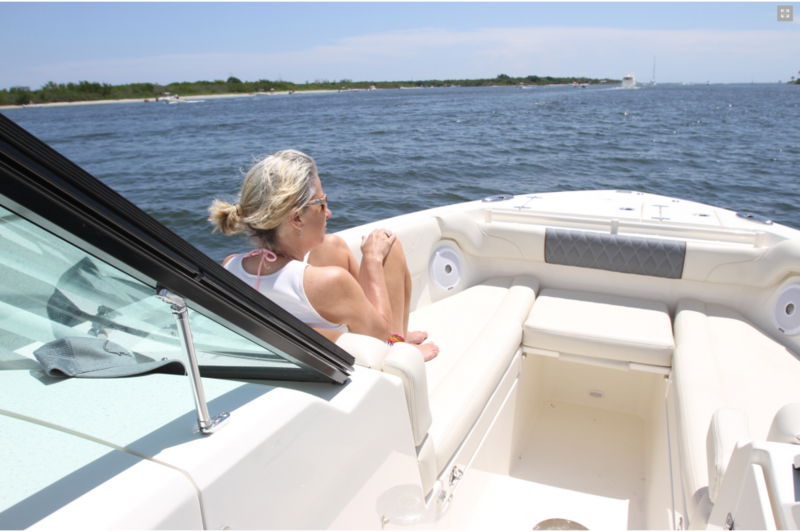 Your level of enjoyment on the water is a direct result of the boat you’re in. 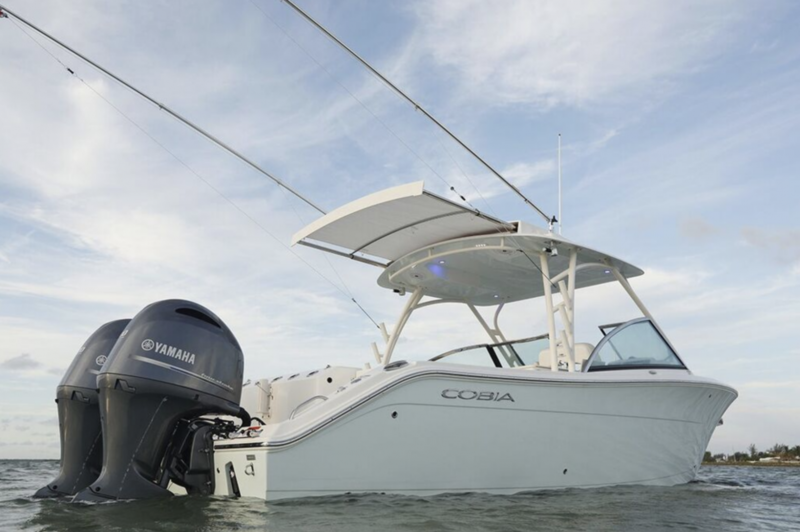 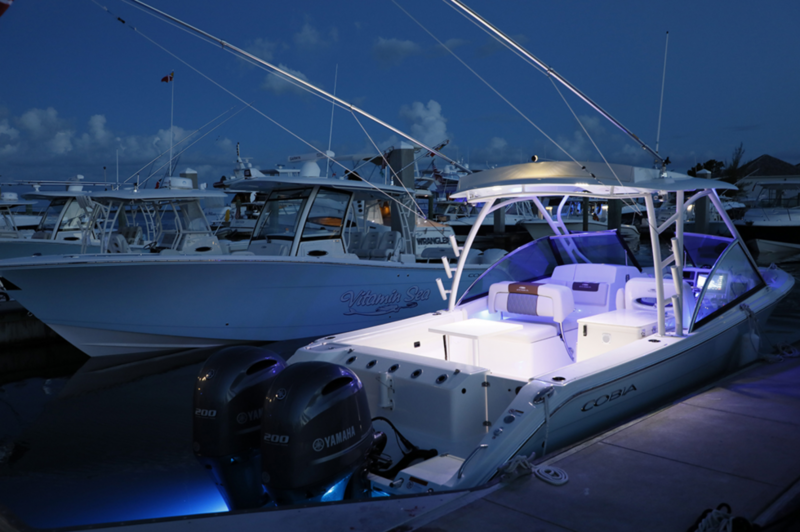 The new Cobia 280 Dual Console is designed to maximize every trip you take whether fishing, cruising, or spending time at the sandbar. 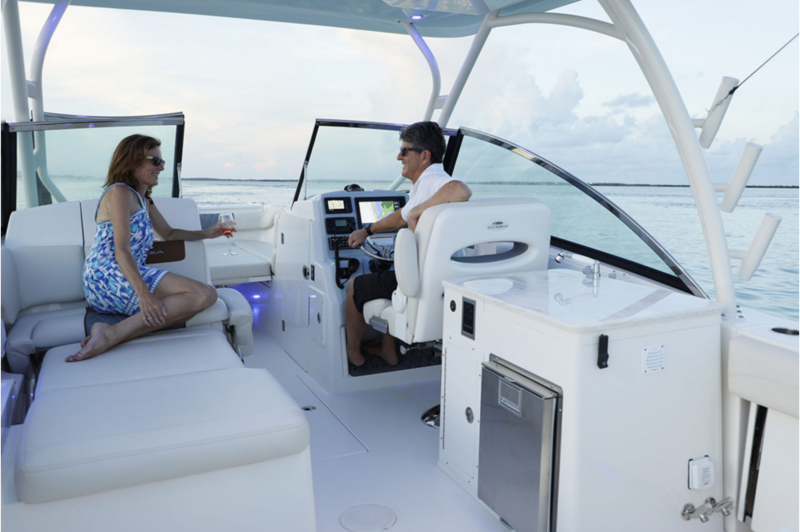 Standard features include a hideaway bow ladder, a fully featured kitchenette, a hardtop with an optional, electric cockpit sunshade, and a walk down head. 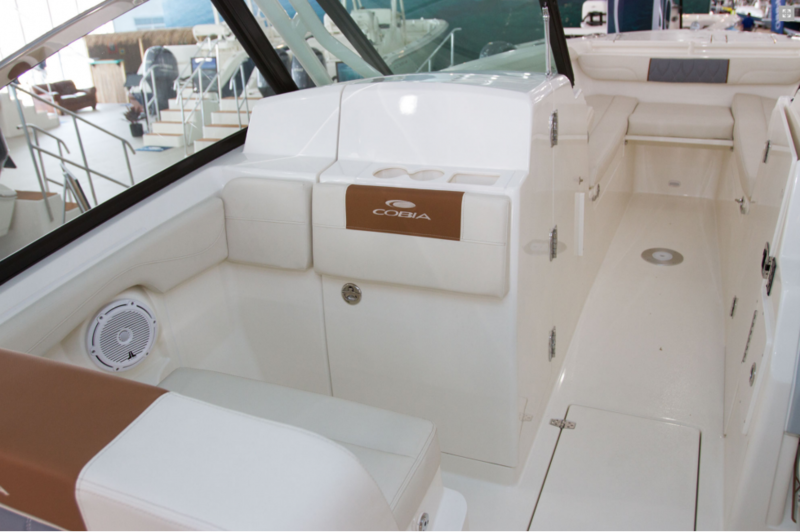 A 25 gallon livewell, standard rod storage, and an expansive cockpit appeal to the serious angler. 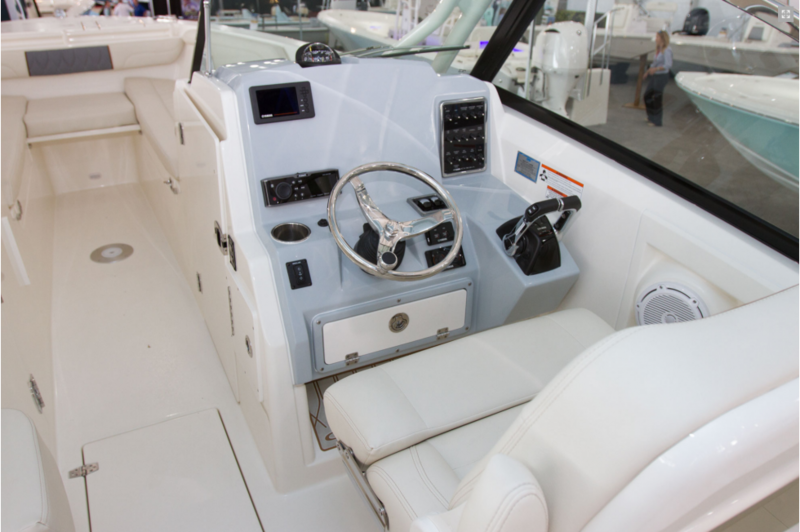 When the fishing is finished, the cockpit and helm area can be transformed into a luxurious seating and lounging area for up to 10 passengers . 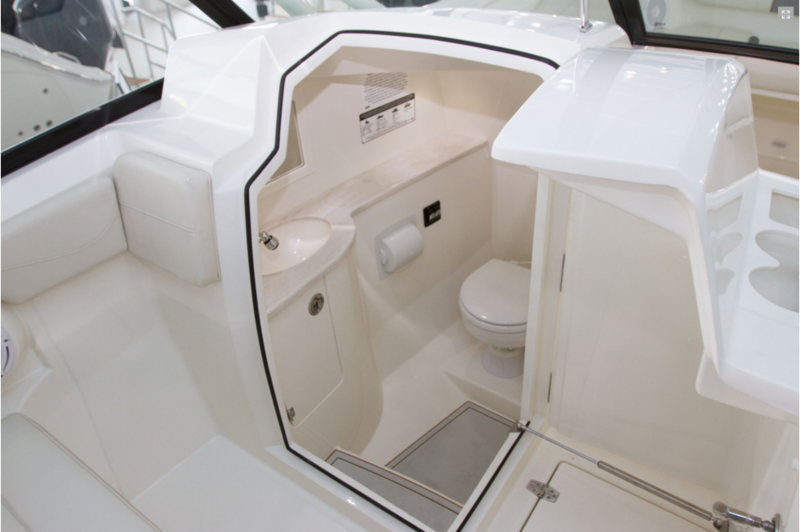 All seating, including the additional bow lounges, have standard USB outlets and cup holders close by, and there’s even a standard stern table and optional bow table, both of which can be completely stowed away. 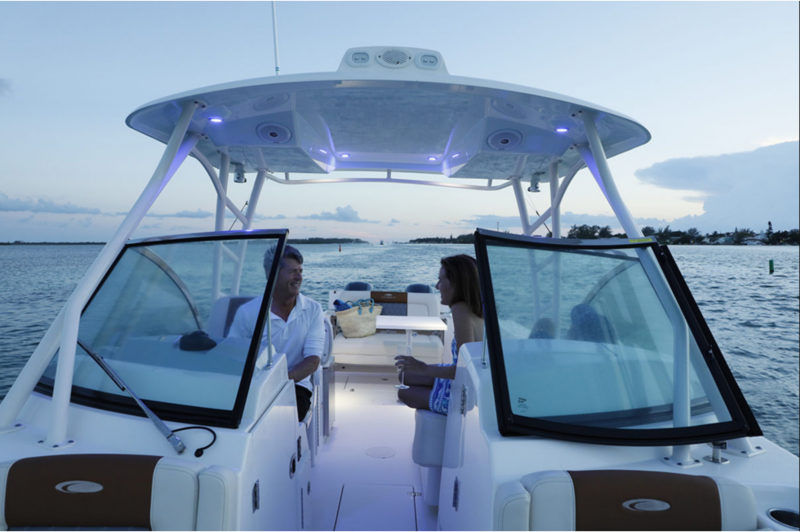 Add to all this superb inshore and offshore running performance and the 280 DC will make you and your passengers smile every time you hit the water.